 Atlanta, GA, August 28, 2018 — Orasi Software, an Atlanta-based software consultant, developer, and reseller focused on products and processes that streamline the DevOps delivery pipeline, today announced with Go2Group, the formation of a new division — ConnectALL, LLC — expanding Orasi’s DevOps product offering with the ConnectALL Integration Platform, the fastest growing product in the application lifecycle management (ALM) and DevOps integration space. ConnectALL LLC is a joint venture of Orasi and Go2Group, the developer of the ConnectALL product and named a ‘Cool Vendor in Applications Development, 2016’ by Gartner. The two companies formed the joint venture to take advantage of Orasi’s dominant position in the DevOps market and Go2Group’s dominant position in the ALM and DevOps tool integration space. Together, Orasi and Go2Group aim to offer their extended client bases a vast range of experience and knowledge in addressing complex integration challenges arising from digital transformation initiatives; making ConnectALL their best and only choice among other integration products from providers like Tasktop, Kovair, OpsHub, etc. Under the terms of the agreement, Orasi will obtain exclusive rights to market and support ConnectALL worldwide. 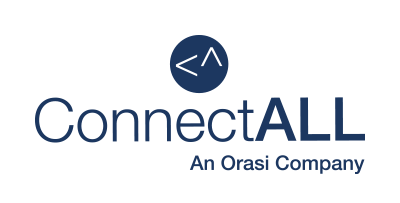 ConnectALL, LLC will be an independent company operating under the Orasi marketing and sales umbrella with headquarters in Atlanta, GA. The management teams from both Orasi and Go2Group are working together to ensure a seamless transition for existing customers. Brett Taylor, currently the President and CEO of Go2Group will be the CEO of the new Orasi ConnectALL, LLC division, and along with Nick Kavadellas (CEO of Orasi) and Tom Stiling (Independent), will form the new division’s board of directors. ConnectALL, developed by Go2Group, is an enterprise-class application integration solution designed to unify multiple ALM and DevOps tools from Atlassian, HPE, Microsoft, IBM, Salesforce, BMC, ServiceNow and more, business applications, teams, processes, and data. It is built with an architecture that enables teams to collaborate efficiently and flawlessly across multiple development platforms and encourages collaboration-at-scale between departments while ensuring secure communication. ConnectALL is noted for its ability to accelerate software development and increase productivity. For more information, please visit https://www.connectall.com. Go2Group, a global provider of IT delivery solutions, helps enterprises achieve business agility. Founded in 2002, the company offers enterprise-level software products and services around ALM (Application Lifecycle Management), DevOps, cloud, and agile practices. As a certified partner of leading ALM and DevOps systems providers such as Atlassian, CloudBees, Microsoft, AWS, and Sonatype, Go2Group has a proven track record in DevOps leadership and implementation, providing tools and applications built on latest technology and processes, and a strong and dedicated team of trained and certified technical consultants. Organizations in 70 countries benefit from its expert DevOps services that drive business teams toward high-performance, empowers teams to seamlessly accelerate delivery and enables increased efficiency through cross-team collaboration. For more information, please visit the Go2Group company website: https://www.go2group.com. Orasi is a DevOps-focused software developer, reseller and consulting firm whose goal is to help companies streamline and optimize their DevOps pipelines, increasing efficiency and quality while reducing the risk of software failure. For more than 15 years, Orasi has been a software quality leader, helping organizations achieve excellence with market-leading test management, test automation, enterprise testing, environment hosting, and mobile testing technologies. In 2017, Orasi launched a new division — Advanced Technology Solutions (ATS) — which is at the vanguard of Orasi’s efforts to help client optimize their DevOps transformation. Orasi represents companies with software offerings across the entire software delivery spectrum, from data analytics and visualization services to continuous delivery and open source tooling. Orasi has established strategic sales and support services partnerships with Micro Focus (formerly HPE), Chef, SAP, XebiaLabs, AppDynamics, and others. For more information, please visit the Orasi company website: https://www.orasi.com. Orasi is a trademark of Orasi Software, Inc. All other product and company names are the trademarks of their respective owners.